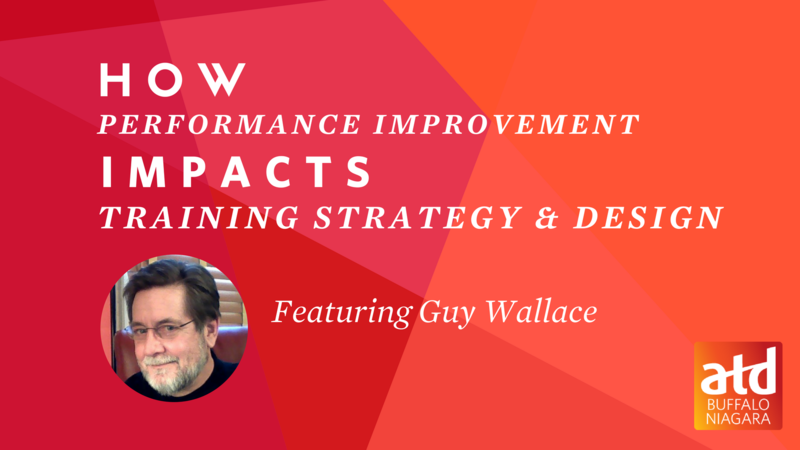 In this webinar, Guy will walk us through the different variable that impact performance. He will explain the performance model and how we can use this model to create learning events and lessons maps that are focused on improving performance directly from the learner's gaining new knowledge and skills. Attendees of this webinar will be able to directly apply the performance model to their instructional development activities in any organization. Guy W. Wallace has been in Training and Development since 1979. He has served 85+ clients including over 45 of the Fortune 500. As an ISPI Past President and Board Director Guy is a 2010 Honorary Life Member Award for contributions to Human Performance Technology and ISPI, as approved by two successive boards. Guy specializes in Curriculum Architecture Design (CAD) for the analysis and design of performance-based T&D Paths. He has completed 74 CAD projects since 1982 AND has conducted over 75 content development efforts. He has published 14 books, over 100 articles, and 2,800 blog posts. (Not to mention his 100s of presentations at conferences and chapters since! Guy's consulting engagements have won internal & external awards for AT&T, General Motors, HP, Imperial Oil & Siemens Build Technologies. As soon as you complete the registration process, you will be guaranteed a seat at this event. The completed registration process initiates an invoice from your ATD Buffalo Niagara Chapter to you that may be paid online, or by mail. Event cancellations received within 48 hours prior to an event may be eligible to receive a full refund. Cancellations will be accepted via e-mail and should be sent to the VP of Programs at programs@atdbuffalo.org. All refund requests must made by the member or credit card holder. Refunds will be credited back to the original method of payment within 30 days from the date the payment was received. Requests for cancellations received after the stated deadline will not be eligible for a refund. What happens if I register and then cannot attend the event? If you cancel at least 48 hours prior to the event, you will not be charged. If you’ve already made payment, we will be happy to issue you a refund. If you cannot cancel before 48 hours, please feel free to send someone else in your place. Kindly send an email to programs@atdbuffalo.org so we can have materials prepared for that individual. Our goal is to make sure that person feels as welcomed as possible. To cancel, please send an email to our VP of Programs at programs@atdbuffalo.org. Thank you for adhering to this policy. Please feel free to contact us if you have any questions or comments.